Security Guard / Club bouncer and mother-of-one Hatice Karcilar was among the 39 people who were gunned down in Istanbul. 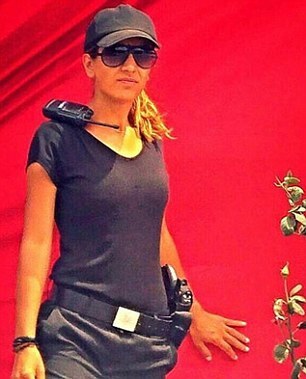 Turkish law requires a female guard be present to search women clubbers. 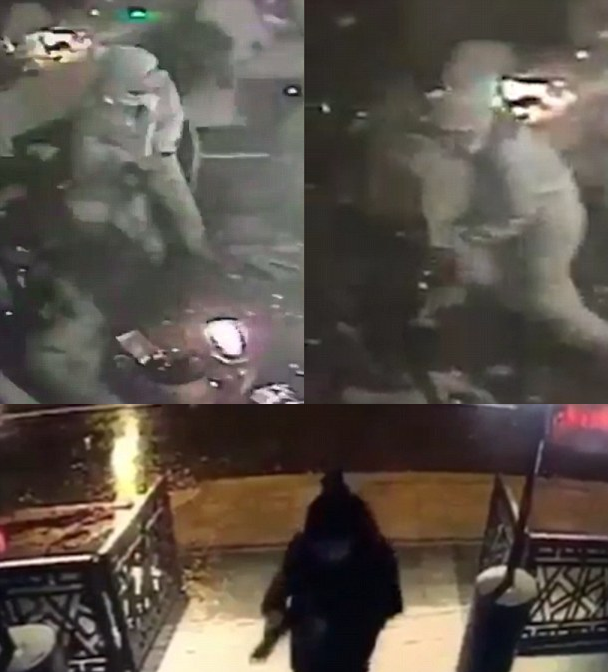 Authorities are searching for a gunman who opened fire Sunday at a packed nightclub during New Year’s celebrations in Istanbul. More than 500 people were inside the Reina club when what authorities believe to be a terrorist attack began at about 1:15 a.m. local time. Here is what we know so far. The gunman killed at least 39 people and injured 69. Three of the wounded remain in critical condition, according to Turkish Prime Minister Binali Yildirim. The gunman killed at least 39 people and injured 69. Three of the wounded remain in critical condition, according to Turkish Prime Minister Binali Yildirim. Nearly two-thirds of those killed — 24 victims — were from other countries, according to the Associated Press, including an 18-year-old Israeli woman, three Indian citizens, a 26-year-old man from Lebanon and a Belgian national, according to the countries’ respective foreign ministries and a relative. State-run Anadolu news agency reported Sunday that a 22-year-old police officer, Burak Yildiz, was shot and killed outside the nightclub. A female security guard, Hatice Karcilar, 29, was also among those killed, according to Anadolu. No word yet on any American victims. The Islamic State claimed responsibility Monday for the shooting rampage at an Istanbul nightclub in the early hours of New Year’s Day that left 39 dead and scores wounded, including an American who said he played dead to avoid additional gunshots. A female security guard, Hatice Karcilar, 29, was also among those killed, according to Anadolu. Sahin said the attacker used a long-barreled weapon, but he gave no other details about the device. At least 15 of the dead were foreign nationals, Soylu said. On December 19, the Russian ambassador to Turkey Andrey Karlov was shot dead by an assassin as he gave a speech at an art gallery in Ankara. On 10 December 2016, a car bomb exploded near the Besiktas football stadium in the Macka/Dolmabahce area of Istanbul. 44 people, mostly police officers, were killed, and over 150 injured. On 24 November 2016, a bomb exploded near the Governor’s office in Adana. 2 people were killed and 21 injured. On 24 August 2016, a roadside bomb injured 2 Gendarmerie officers on the Antalya – Kemer road near Topcam. On 20 August 2016, an attack on a wedding party in Gaziantep killed more than 50 people and injured around 100. On 28 June 2016, Ataturk International Airport in Istanbul was attacked. More than 40 people were killed. On 7 June 2016, a bomb attack in the Vezneciler area of Istanbul killed 7 police officers and 4 civilians. 36 people were injured. On 1 May 2016, a bomb attack at the Central Police Station in Gaziantep killed two police officers and injured 23 others. On 27 April 2016, there was a suspected suicide bomb attack at Bursa Ulu Mosque. The bomber was killed and 7 people slightly injured. On 19 March 2016, there was a suicide bomb attack against tourists on Istiklal St in Istanbul, in which 4 tourists died and at least 36 people were injured. On 13 March 2016, a bombing in Kizilay Square, central Ankara killed more than 30 people. On 17 February 2016, a large bomb attack near a military barracks on Eskisehir Road in Ankara killed 28 people. On 12 January 2016, a suicide bomb attack in Sultanahmet in Istanbul killed 10 tourists.